Leila Godfrey and her grandfather, Emilio, share the same strong-willed determination. The day Giulia Godfrey learned that her father, Emilio, had cancer, she drove to her children’s school with a decision to make. Should she tell her then-five-year-old daughter, Leila, that “Nonno” was sick? Godfrey decided that, yes, Leila would want to know. And she was not at all surprised when Leila announced that she wanted to help. “She just very matter-of-factly said, ‘Well, we need to do something,’” recalls Godfrey. After that day in June 2017, Leila and her family got to work. Inspired by Terry Fox, Leila decided to organize a charity run to save her Nonno. “I wanted to run around the whole world,” Leila says. After some practical considerations, Leila chose a shorter route through Downtown Calgary, and the Tiny Prancer vs. Liver Cancer 5km Run was born. With an original fundraising goal of $5,000 and just two months until the big event, Leila began a busy campaign of fundraising on social media and within her school community. She documented her donation progress and ran updates on her event web page, involving as many people as possible in her fundraising journey. 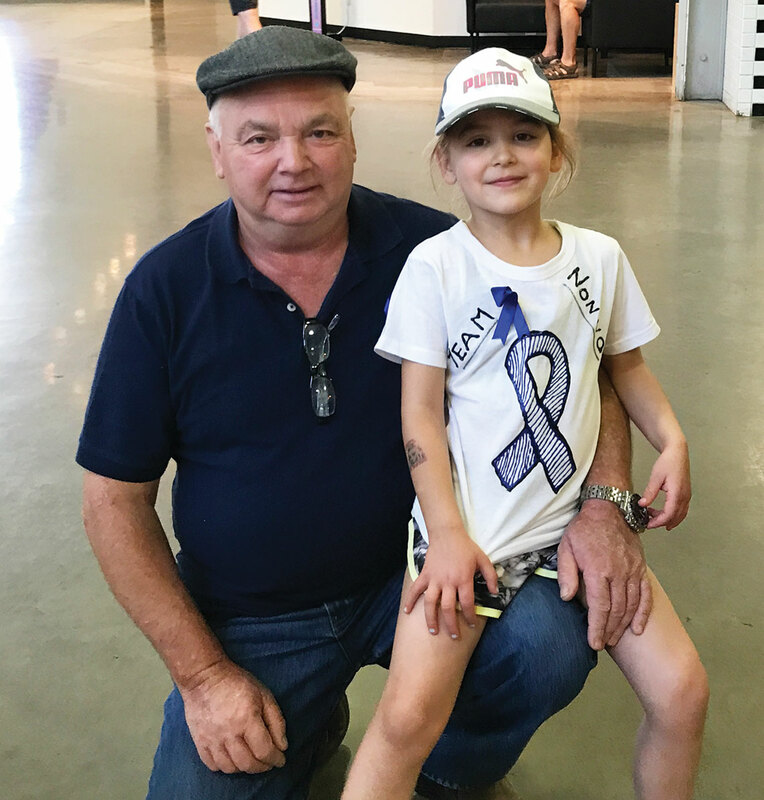 By the day of the race — August 12, 2017 — the Tiny Prancer vs. Liver Cancer 5km Run had raised $6,100 for the Alberta Cancer Foundation in support of the Tom Baker Cancer Centre in Calgary. Leila ran alongside her mother, her grandparents and 35 other supporters. Nonno Emilio was very proud of his granddaughter. “He said I’m doing good,” says Leila.